Prophecy seminar offered in Pagosa Springs, Colo. » Pastor Ruben Balaguer will present a prophecy seminar on the book of Revelation in Pagosa Springs, Colo., Oct. 15–26. The English-speaking Pagosa Springs Church is organizing this outreach to support the small Hispanic group that has been established in Pagosa Springs. Fliers, posters, newspaper and radio advertising, and a big banner that display “Amazing Prophecies of the Book of Revelation” are being used to communicate to the community the news about the upcoming meetings, which will be held at the Ross Aragon Community Center, located next to the Town Hall at 451 Hot Springs Blvd., in Pagosa Springs. Let’s pray for the outpouring of the Holy Spirit on these meetings! Youth mission trip planned for Zambia, Africa » Pastor Jamey Houghton, coordinator of The Kaleo Project (the RMC Student Evangelism program for youth), and Jessica Beans, assistant in the RMC Youth Department, are organizing a very special mission trip to Zambia, Africa. Jamey will lead a team of RMC youth who will speak and conduct evangelistic meetings and Vacation Bible Schools. Jessica will lead a team that will help build a much-needed school in Zambia. 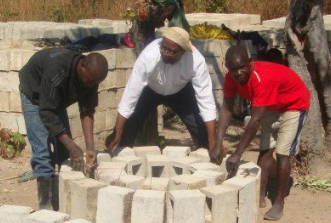 We can all play a part in this mission opportunity by helping to raise the funds needed to supply the cement for the building project. Please click here to learn how you and your church can play a part in this wonderful outreach opportunity. Delta church member elected councilman » It is always nice to see our members get involved in their communities. 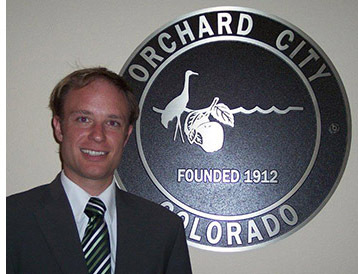 I thought you would like to know that Matt Soper, a member at the Delta Church, in Colorado, was elected as a councilman for Orchard City, Colo. At 27 years of age, he is the youngest individual ever elected to this position. Blessings, Matt, as you serve your community with your new responsibilities! 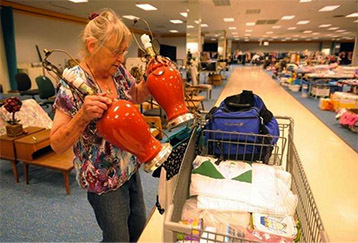 ACS Community Life Distribution Center receives newsworthy accolades » Recently, an article written by Sarah Jane Kyle about the ACS Community Lift Distribution Center was published in the newspaper in Ft. Collins, Colo. The article was very gracious about all of the good work that has been done and that continues on for those affected by the fires. You can read the article here along with an update of the service that has been accomplished in the center. You will be amazed! ACS Community Lift holds Annual Gala to raise funds for outreach » Last month, ACS Community Lift held its Annual Gala to raise money for the outreach ministries it oversees. The gala was a big success and involved many from our community. It is wonderful to see this ministry make such an impact on those who need assistance in Denver! Click here to see the gala report sent out by ACS Community Lift. On the road » This week, I am in Silver Spring, Md., for the General Conference Annual Council, where leaders and laypeople from around the world convene to discuss ministry and ways to further it in God’s church. One of the big themes for this meeting will be youth ministries. There are numerous other items on the agenda, including how the GC will respond to the recent actions on women’s ordination voted by the Columbia and Pacific Unions. I invite your prayers for our church as together we move forward with the great work the Lord has given us! Wherever you are worshiping this coming Sabbath, may the Lord be with you and bless you!